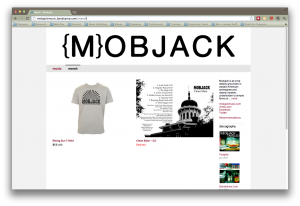 We’ve launched a Bandcamp merchandise page and reissued a long-time favorite, the Mobjack Rising Sun t-shirt. This is, of course, in preparation for our upcoming album release. We’re in the final process of tracking and will announce a release date once we’re into the mixing phase of the project. Scott Heistand’s been laying down some silky-smooth pedal steel tracks that would melt even Loretta Lynn’s heart. Suffice it to say that this record, in its current, raw, un-mixed form, sounds something like a cross between ringing justice and angels singing. Can said skills pay the bills? You be the judge. We’ll be adding additional merchandise to the page periodically and you can either check in to see what’s new there or sign up for our email list. We usually send out an email every six weeks or so and you can unsubscribe any time. Be sure to check in with us again in a month or so for another merchandise of our best selling (and for our audience, perhaps most needed) item: SOAP!